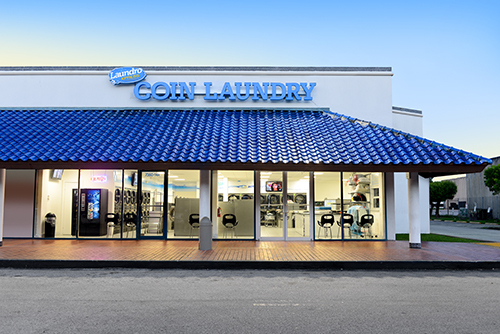 LaundroXpress is centrally located on Coral Way just two blocks from the Palmetto Expressway in the Blue Gables Shopping Plaza making it easily and rapidly accessible to South Miami, Coral Gables, Sweetwater as well as other parts of the county are within quick reach. LaundroXpress was designed with you in mind. For example, your chairs are not bolted to the floor. Rather, they are very light and can be moved anywhere you would like–a small, but important detail. You will find a clean, brightly lit, secure and pleasant environment. We have three large wall mounted TVs in Englilsh and Spanish. Of course, we have free we-fi and outlets where you can recharge your mobile device. Yes. I do my laundry here. I hope you will too.